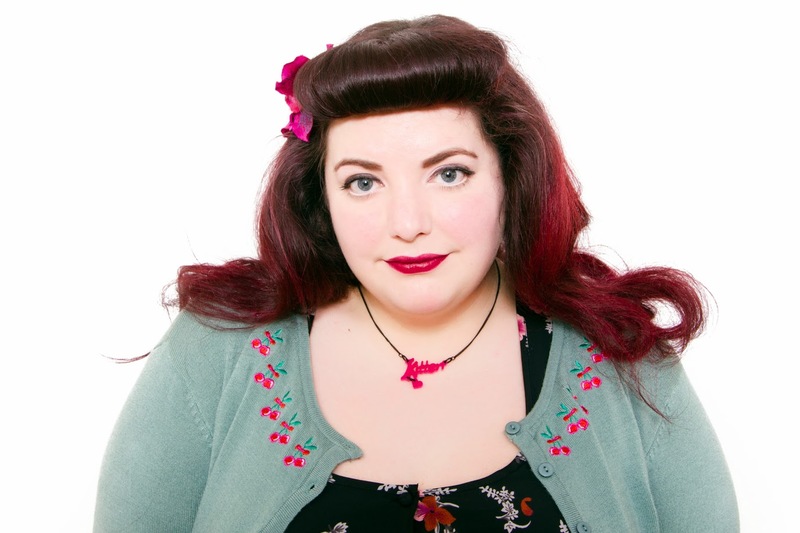 Cherry Bomb - Springtime fun with ASOS Curve and Collectif. I love Spring for lots of reasons, but in terms of fashion, it's all about the colourful prints and purse friendly sales! 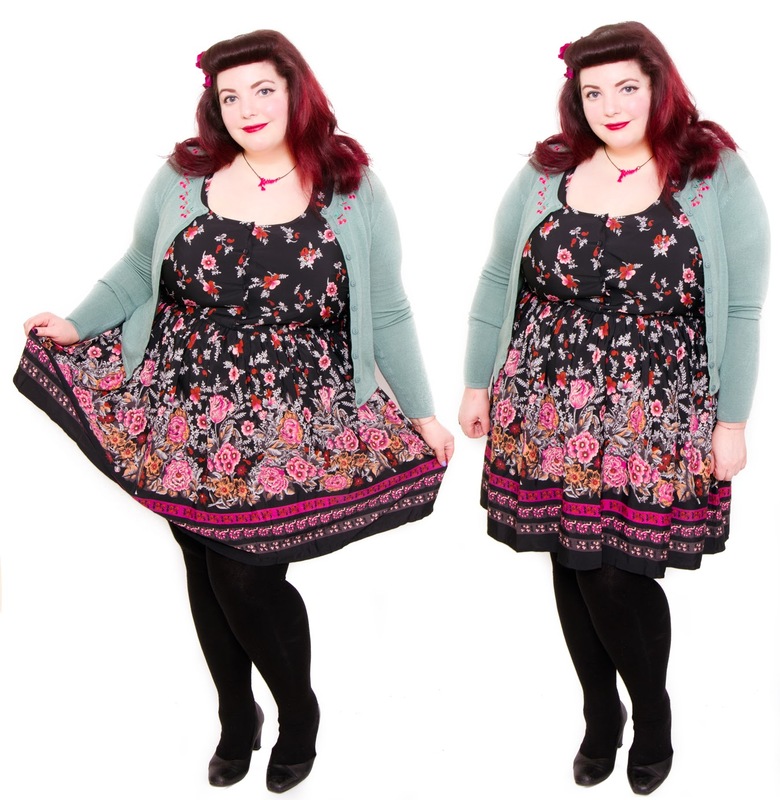 I was over the moon when this ASOS Curve dress went on sale and snapped it up immediately. The print was just so beautiful, and it's one of those items that depending on what you wear it with can be dressed up or down. 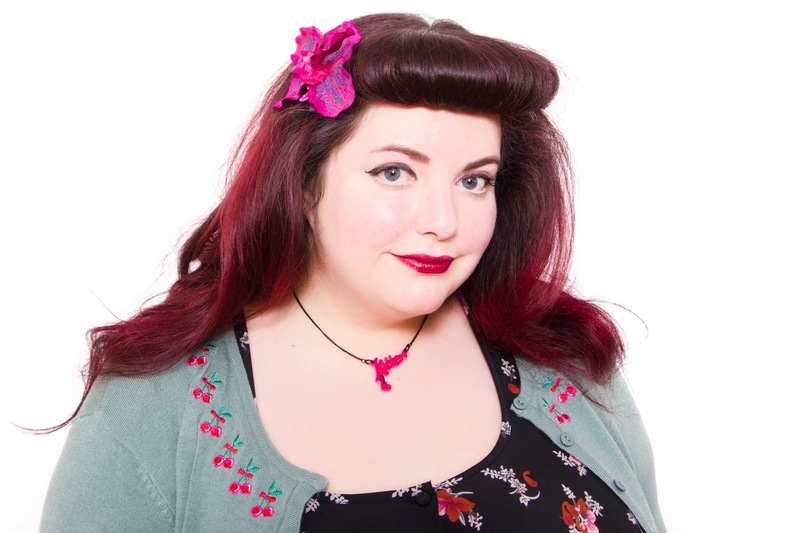 It was clearly meant to be as the day I ordered it, I found this cherry covered cardigan on sale in the Covent Garden Collectif with the Antique Green shade matching the blue-green of the dress perfectly! Necklace: Custom "Kitten" name necklace with heart by Tatty Devine. Hair Flower: Pearls & Swine. This is one of those outfits which I know is going to get thrown together quite a lot, and I feel like with different accessories and shoes, it could be appropriate pretty much anywhere from a wedding to a work meeting. I wore it over the weekend as I had a cute date of wondering around London planned with the dashing Lord Dicely. Between card games in cafés and living room picnics via Borough Market, it was the perfect outfit for the perfect afternoon.